We offer air and nitrox filling on site. Australian Standards and Worksafe demand than an Air purity test is performed every 3 months to ensure that the air being sold meets safety standards in terms of quality and purity. In order to have your tank filled you must be able to show an open water certification card and your tank must be in test (have been hydrostatically tested in the last 12 months and show stamp on tank). 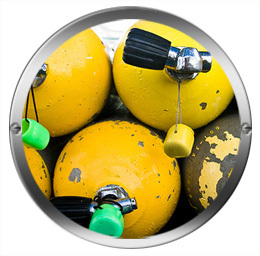 Nitrox fills are available on site and it is recommended that you leave your tank for nitrox filling at least 24 hours prior to diving in order to achieve optimum filling results. You will need to produce a Nitrox certification card in order to have your cylinders blended, you must also know what blend you want and what your MOD (Maximum Operational Depth) is to be.